July and August vacation period. firm demand for okoume, bomanga and okan. kevazingo which is subject to CITES regulations. Port has ended shipments are being handled without delay. for shipment out of Douala port. 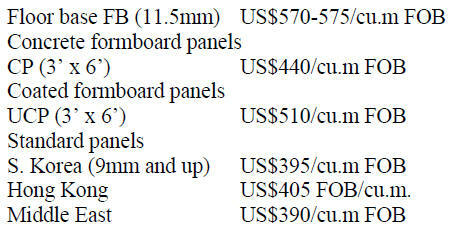 increase when compared to the January 2016.
cu.m) and processed mouldings (717 cu.m). wawa (9%), papao/apa (9%) and ceiba (6%). 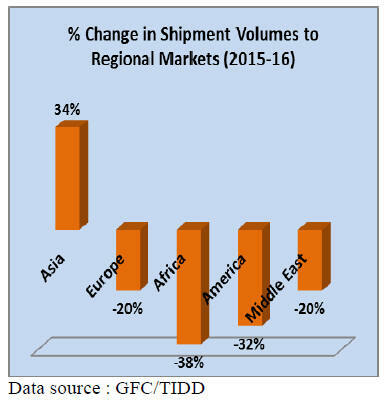 exports (China; 54%, India; 21% and Vietnam; 3%). 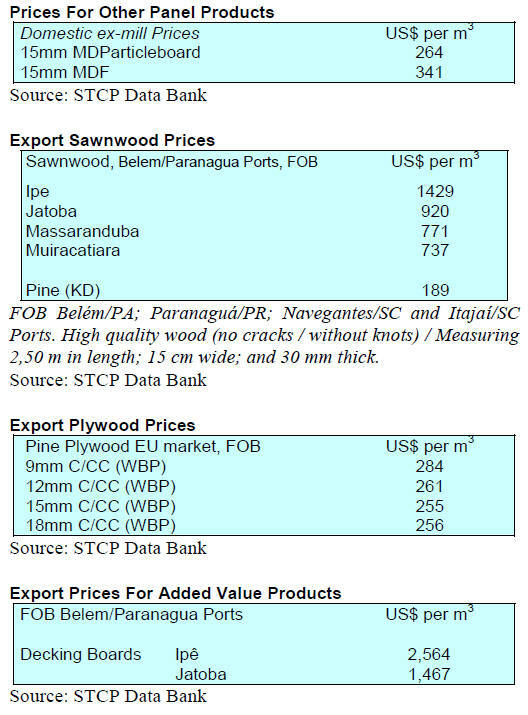 lifting of the export ban by the Forestry Commission. significant improvement on 2015 exports. Euro 208 mil. from a volume of 353,000 cubic metres. 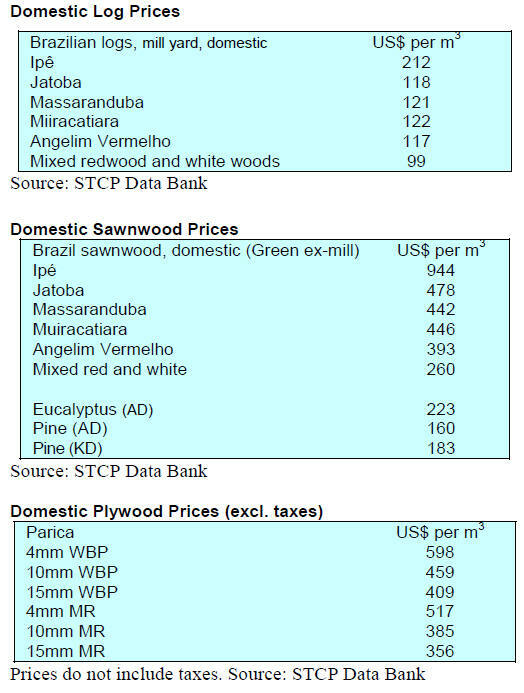 a heavy burden on already over harvested forests. as demand is firm and the supply adequate. 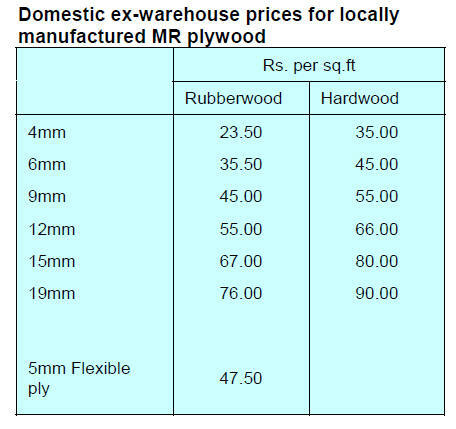 and a timber shortage is likely in the next five to six years. particularly high in the Southern and Western Cape areas. may have to import structural timbers. but the creation of forest resources has lagged behind. government might aid such a shift in production. 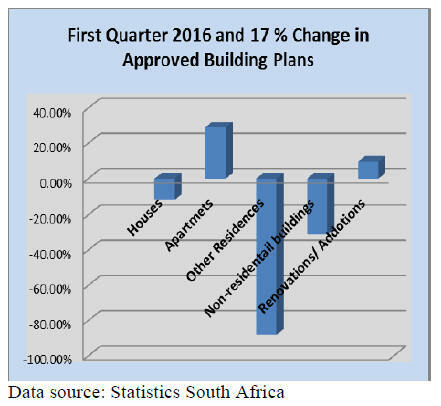 8% compared to the same period in 2016.
will slow in the second quarter and possibly beyond that. RM1.75 billion or 7.9 per cent. in Sabah as the local plantations become ready for harvest. and phasing out of logging activities in the natural forest. one million hectares to be planted by 2020.
a forest plantation industry in the state. RM15.16 million in 2016, up 15% from the year before. is expected to continue increasing around 3-4% per year. 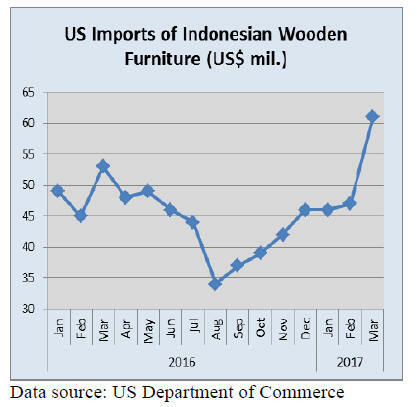 target for furniture exports of US$3.5 billion by 2019.
technologies if not available locally. sector and civil society stakeholders. 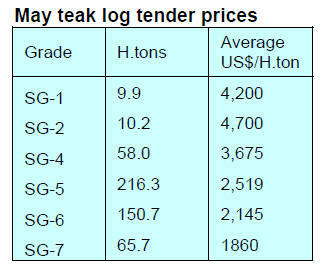 use timber raw materials from peatland areas. land designated as primary forest and peatland. administration of President Susilo Bambang Yudhoyono. effort to reduce emissions from fires during land clearing. called into question by civil society groups. confidence of the international markets. through both systems had to be in US dollars. posts, flitches, board, scantlings and flitches. 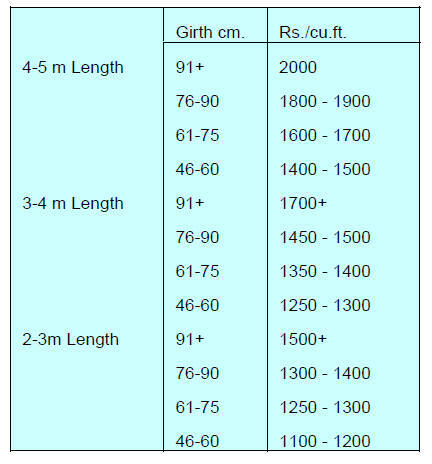 square section is 12 inches or more. by the MTE and the commercial buyers. Reserve Bank of India (RBI) to lower interest rates. 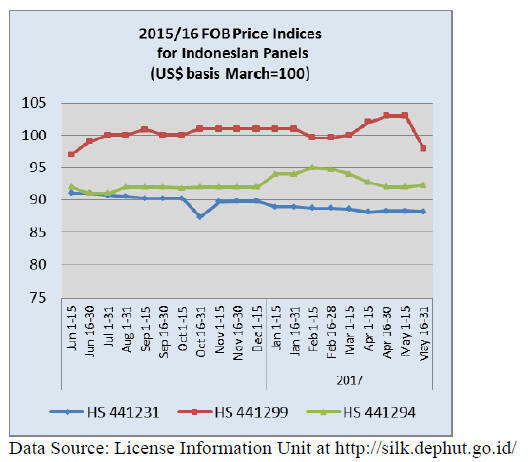 the quality, coverage and representativeness of the indices. 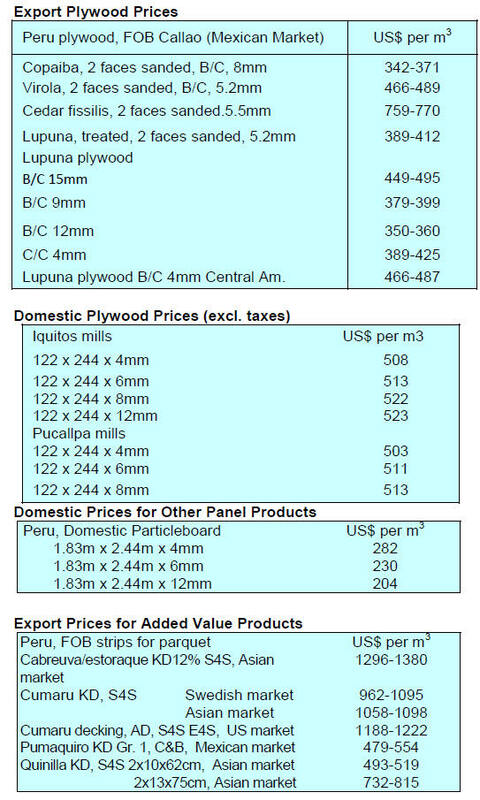 reported wood products and plywood indices. through a department of government. disrupted but now business has returned to normal. should not be included in the CITES listing. generate business worth over US$1 trillion. 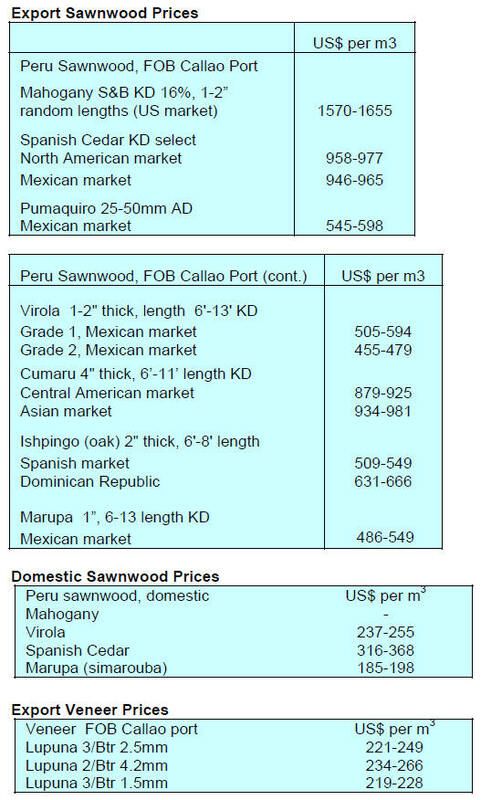 cubic metres non-teak hardwoods were sold. from Gujarat, Maharashtra, Rajasthan and South India. 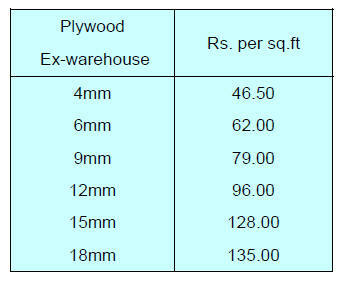 Rs.200 to 300 per cu.ft. 15% per year for the past 5 years. expected to lead the Central Bank to cut interest rates. Central Bank is expected to cut interest rates. phased in and should be fully operational by January 2018. 2016, from US$190.5 million to US$221.0 million. the same period, from 129,800 cu.m to 146,800 cu.m. cu.m (US$5.4 million) in April 2017. US$38.2 million in April 2017 (+ 8.5%). satisfying the requirements of international markets. production and marketing skills to international levels. participation in national and international fairs. the National Council on the Environment (CONAMA). adoption of a low 35% conversion rate is a mistake. the conversion rate can reach 54%. accurately reflect recovery and production. than would be expected if the recovery rate was 35%. new fast track allocation process will be available. (Osinfor), regional forestry agencies and civil society. a guiding document for the next 10 years. economy as reflected in GDP barely achieves 0.9%. living conditions in the people. 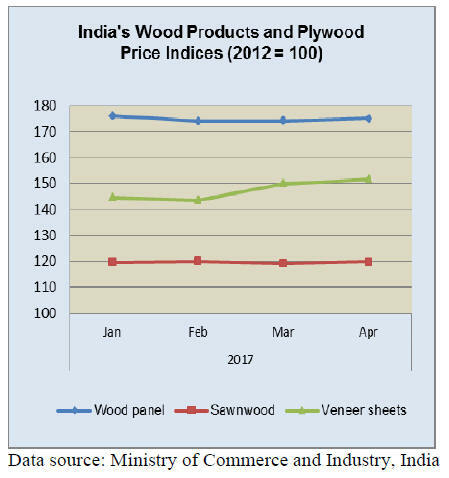 private action in the forestry sector.